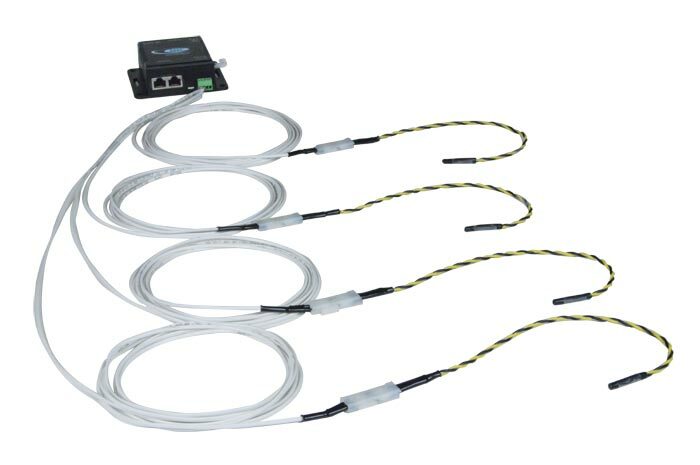 Also known as: Remote Environment Monitoring System, EMS, monitor networking closets, server room alert, IP temperature sensor, humidity sensor, computer room humidity probe. The ENVIROMUX® Micro Environment Monitoring System (EMS) monitors critical environmental conditions, such as temperature, humidity, liquid water presence, power, intrusion, and smoke. 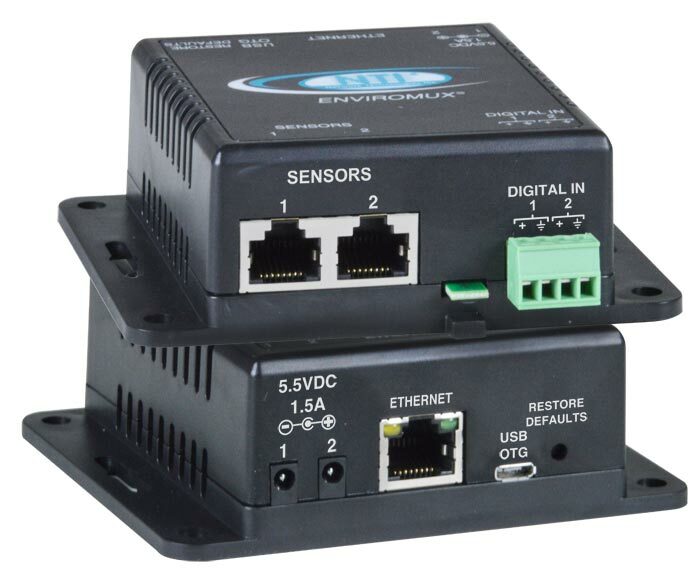 When a sensor goes out of range of a configurable threshold, the system will notify you via email, web page, network management (SNMP), and/or SMS messages (via email-to-SMS). Integrates with various Open Source SNMP monitoring packages – Nagios. HTTP/HTTPS, SNMP V1/V2c/V3, SMTP, TCP/IP, Syslog, SNTP, DHCP, TLS v1.2, AES 256-bit, 3DES, Blowfish, RSA, EDH-RSA, Arcfour. The E-MICRO-T(RHP) Remote Temperature/Humidity Sensors over IP can function as an IP-connected remote sensor for the E-2D/5D/16D. To add a remote IP sensor, access the web interface and select Monitoring > IP Sensors. Click on the "Add New IP Sensor" link on the bottom and key in the description and IP address of the E-MICRO-T(RHP) to connect it to the main ENVIROMUX unit. Up to eight remote IP sensors can be connected. All sensors connected, including the Remote Temperature/Humidity Sensors over IP, to the E-xD can be viewed on one summary page.